This is a truly beautiful book, with gorgeous color illustrations on almost every page 2-page spread, so reading it, even flipping through it, is a delight. The first thing I did was check to see which of my favorite literary worlds had been included (Strange/Norrell! Thursday Next! And lots of others), and I read those entries feeling great pleasure and satisfaction to see the texts I love treated with such respectful and thought-provoking attention. But discovering new-to-you authors is the biggest perk of Literary Wonderlands, with one very slight caveat. If you are someone who avoids spoilers at all costs (I am not), if your reading pleasure is diminished by knowing ahead of time some of what happens in a story, then you'll want to precede with caution. In order for them give substantial insights, quite a few of the entries contain summaries which tell in a very general way what happens in the book being featured. Since many of these books are well known classics, especially the older ones, I don't think this will be an issue for most readers. 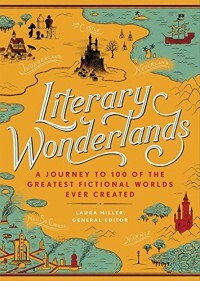 The entries were authored by an impressive list of knowledgeable and talented writers, some of them scholars or historians, and some of them creators of their own literary wonderlands, like Lev Grossman (his The Magicians series is, sadly, not included in the book). Essays are arranged in 5 chronological groups: Ancient Myth and Legend, Science and Romanticism, Golden Age of Fantasy, New World Order, and The Computer Age ( a strange title choice because most of the stories in this group have nothing to do with computers). Most, but not quite all, of the authors are from Europe or the United States. Literary Wonderlands would be a great holiday gift book for anyone (including yourself!) who loves to read. 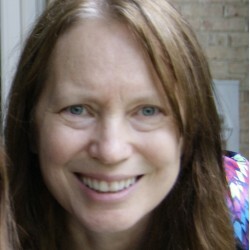 I received a free copy of this book from the publisher with obligations. Review opinions are mine.